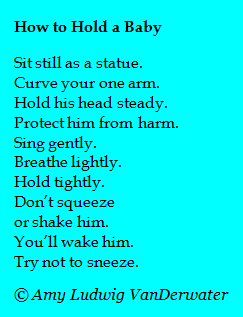 Students - This is another how-to poem, that bossy kind of poem I like to write sometimes. Again, this one comes from a collection of new-baby poems that I once wrote. They never became a book, but I like coming back and visiting them, remembering when our children were small. You will see how each line of this poem gives one more thing not to do when holding a baby. The alternating lines rhyme, and I tried to write a wee bit of a silly ending. It would be terrible to have a big sneeze just as the baby is about to fall asleep! When I shared this poem with my daughter Georgia, she said, "This poem is true for holding cats too." She would know...we have cared for many kittens around here. Today I am very grateful to welcome Margy Grosswendt, a real estate agent and dancer from Hawaii. Margy contacted me several months ago when she planned to bring FOREST HAS A SONG with her on a trip to volunteer in an orphanage in Bosnia. Her creative movement work with these children is very inspiring, and I am honored to feature her story today. Welcome, Margy. I began my lifelong study of dance late, age 14 in California and in college, I developed creative movement classes for preschool and a local kindergarten for an independent study credit. All these years, I kept those notebooks, sketches, and lesson plans from that creative movement project. 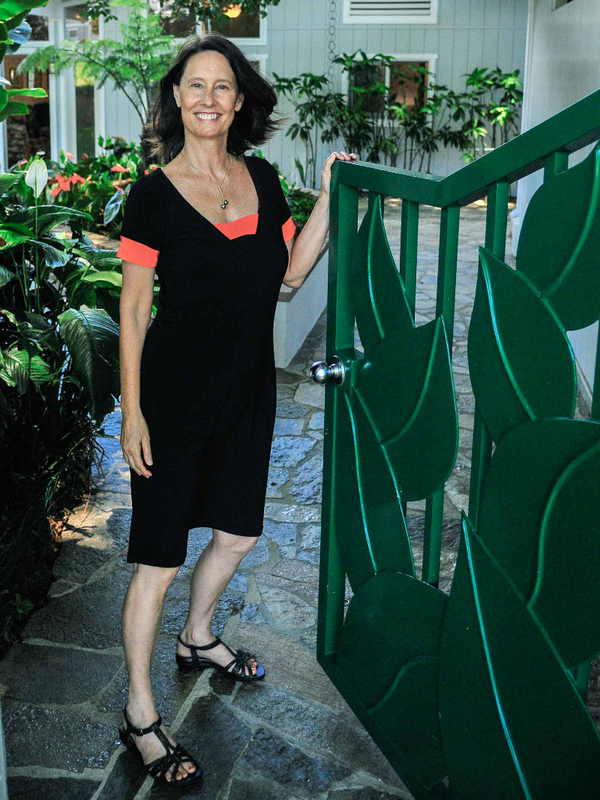 I ended up moving to Hawaii, obtained my real estate license in 1977, raised two children with my husband, and kept dancing: jazz class for many years, ballet on and off, yoga, Pilates, aerobics, personal training, and now Gyrotonic and back to jazz dance. I feel very strongly that it’s vital to find something that you like to do, something that speaks to you in a way that you could describe this "activity" as a passion. It may become your life's work or perhaps just your life's hobby,but it is with you always. Fast forward to 2009. I was 54 years old and I found myself feeling bored. No wonder, I'd been selling real estate for over 30 years on an island, no less. One quick solution was to take a solo trip to Europe, where I'd never been. While in Ljubljana, Slovenia, I thought, "I wonder why Yugoslavia had a different form of communism than what I just witnessed in Poland...."
The next day, without telling anyone in my tour group, I took a taxi to an orphanage, walked in and said, "Hi! I have Lady Gaga on my iPhone....I think I could help the kids and the staff here..." I went back a second time (without telling anyone in our tour group) and this time talked my way into the dormitory area. The children were just adorable. They could understand me, although not strong English speakers, and were very excited when I mentioned Lady Gaga music. So were the women staff. As the tour left Sarajevo, I told the group about my visits and my desire to return and teach dance/movement to the kids and staff there. People were looking at me like "Yeah, great idea, you'll never do it..." And I didn't know if I would or could. Returning home in June of 2012, I sent the orphanage an e-mail and they immediately responded with "Come back. We'd love to have you!" Obstacles and excuses came into my mind, and then I went looking for my 39-year old notebooks on creative movement from UC Santa Cruz. Pages and pages and pages of details and lesson plans gave me confidence and I thought, "You know - you are now 57 years old. You've made a connection. Go back now, or it’s going to be a pipe dream.” So I committed to them and returned in October 2012 for a month. It went really well. The funny thing is it didn't occur to me to do any online research about teaching creative movement to children today. I just used my own material and my life experience and improvised. I was told by the director that I was the best volunteer he'd had in 17 years, the psychologist concurred, and said I'd broken all roadmaps of holding attention for the 3-5 year olds in my 50-60 minute lessons; these kids had not been able to sustain attention longer than 15 minutes. I was floored; I just did what I was supposed to do. Saying goodbye to the dedicated teens who came to class every day was very difficult. I promised them I would return in 6 months. And as I had to keep this promise to these children, I did just that in May of 2013. This time I had more playlists, more props, and a lot more research and ideas developed. It went just as well and in fact I probably worked with more kids. 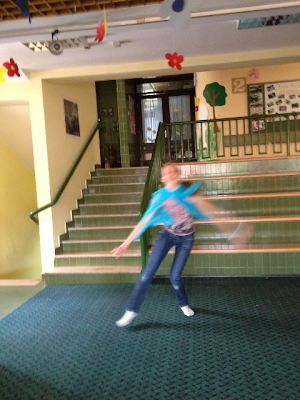 I asked the psychologist for smaller classes, and I came up with a great "stretching for fudbal (soccer)" which many of the boys are just wild about, girls, too. So there we are doing calf stretches one leg back to "Moonlight Sonata," plie/releve with feet parallel to "Ode to Joy" - for soccer! 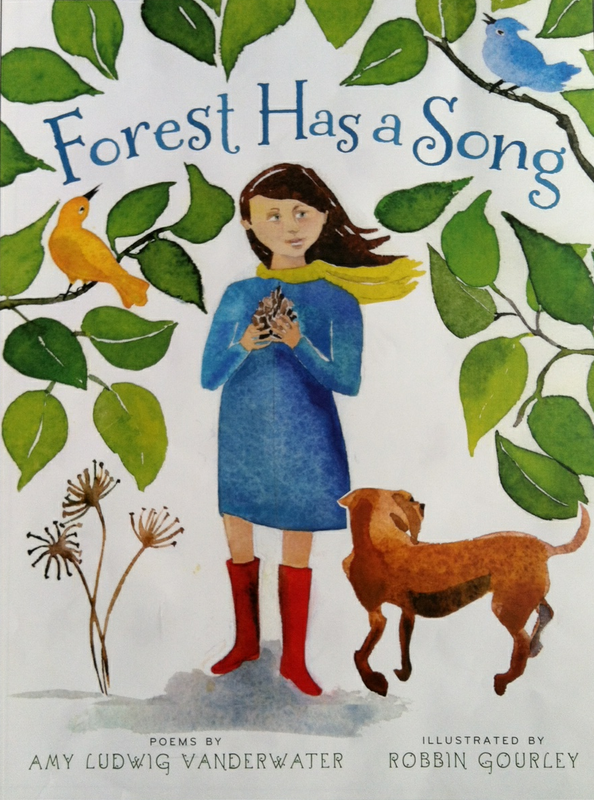 I wanted so much to read FOREST HAS A SONG and have the kids make up a movement/dance about the forest, as Bosnia is covered in beautiful trees. For the most part, the mines have been cleared and the ground is safe. All of that is in the past. Part of my idea was to work within their environment and be grateful for the beauty in Bosnia - the forest, rather than a book about the ocean which would be read in Hawaii, for instance. One twelve year old boy read the book to the other children. I had shown the book to my Bosnian translator/assistant Dzevad (Jjavad) and he was worried about getting the nuance of the words right. We were in the second to last week and I just sat down with the teens and began reading in English, with Dz sitting behind me doing his best to translate. All of a sudden, this boy tugged on Dzevad's sleeve saying, "I want to read..." (in English). This lovely boy read so very beautifully with English that resembled British English. Some of the words were difficult, but he would stop and sound them out. Then I asked the kids to find a part they liked and to Enya's "The Memory of Trees" they danced. For Bosnia. For moving forward. For the appreciation of the beauty they have in their country. The older kids used the scarves for movement; the 3-5 year olds invented costumes with them. I found that all ages enjoyed free time moving to music with scarves. Fortunately, there's no mirror in the room. In this digital age, much of what children come up with is reproduction from the TV or their computers. Creative movement using your own body moving to music in improvised creative dance is an opportunity for children to use their imaginations and both express feelings and create images that are completely originals. This is a gift; it is difficult to find a venue that inspires true originality. The entire session took my breath away. Dancing to Enya's "The Memory of Trees"
I enjoy and have learned much from the Maria Hanley's blog Maria's Movers. In addition to FOREST HAS A SONG, I used Eric Carle books with the emphasis on animals and movement; they were a big hit. I also read the 1930s book about the train THE LITTLE ENGINE THAT COULD (“I think I can. I think I can.”) which they had never heard of before. The littlest children, ages 2-1/2 to 5, enjoyed anything with animals. Needless to say, my creative juices are flowing and my mind is expanding. I am excited and exhilarated by the challenge. I am walking everywhere to build strength, taking classes for more ideas. Choreographing jazz routines for the teenagers and praying my body holds together. I am now 58 years old staring down old age and retirement with another way to do it. I want to give back. To people - women and children – who don’t have a fraction of the privilege and opportunity we have in America. Mine is a self-funded Peace Corps under the radar direct effort. I think of the older kids - now they have 9 weeks with me and daily class; they now know a lot. They can stretch before they go to bed at night. They can breathe deeply and relax each part of their body when they can't sleep. They can do cat backs, tree pose, plie/releve, and basic turns. They have tools to deal with life in Bosnia just 18 years after war. The little ones: why, they're just waking up to connection and creative play. I am not a professional dancer nor a professional dance teacher, nor a licensed dance therapist. I am an American businesswoman who has had the distinct privilege of studying dance and various exercise modalities for over forty years. My end goal is to offer this mind and body movement work, the practice of which is therapeutic, to these children so that it can help them now and throughout their lives. I welcome suggestions of children’s books that inspire movement. Thank you, Margy, for telling us about this important work, for teaching us about the possibilities of creative movement as a means of expression and joy with music, with literature...for life. 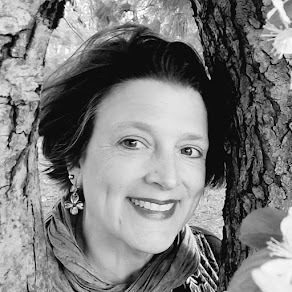 Margaret is hosting today's Poetry Friday roundup over at Reflections on the Teche. Head on over there to enjoy this week's garden of poems and poem thoughts. Love the baby poem (and Georgia's truth about holding kittens). What an honor to have your book taken out into the world in this creative way! I recently held a colleague's baby and felt all those feelings again when I was a young mother. So fragile, so gentle, and definitely hold back that sneeze! You must feel such pride at having your work used in a meaningful way. Like the pride you feel when your oldest child graduates from Law School, like how did I possibly have something to do with that! I loved the way your poetry inspired dance - Forest is such a sensory rich collection, I can just imagine how beautiful these dances must have been! What an honour - Eric Carle, The little Engine that Could, and YOU! 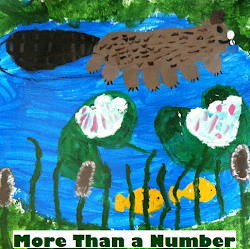 Thanks for sharing the story of your book's journey to Bosnia as well as your poem - very cute! What an inspiring post! 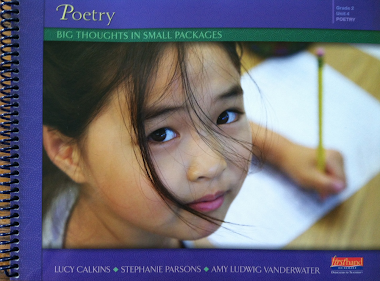 Love your idea of baby how-to poems... share more of them. Margy's project shows what can happen when we listen to our heart and follow up our passion. It was interesting how she combined the arts--dance with poetry. Lovely story! I hope she gets to keep going back. 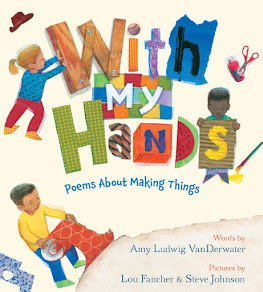 You make me want to write a "bossy" poem -- how you make me laugh, Amy! I'm awestruck by Margy's bravery and heart. She's not retiring, but moving into her true life's work. How thrilling to be part of her journey, and the healing of those orphans in Bosnia! Thanks for sharing!